5 oz. bottle of 99.5% natural face toner for acne. 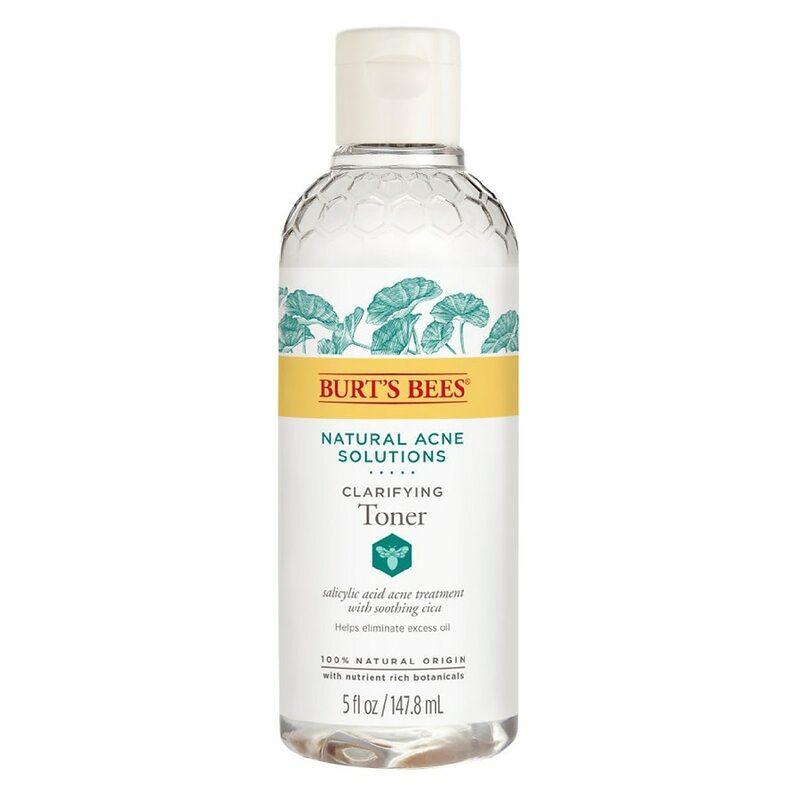 Acne toner removes lingering cleanser, dirt, oil and makeup. Naturally derived salicylic acid reduces acne and helps prevent breakouts. Witch hazel and lemongrass clarify skin and leave it smoother. Dermatologist tested, noncomedogenic acne treatment. A facial acne toner that's formulated with skin clarifying Witch Hazel and Lemongrass, known for their astringent properties. 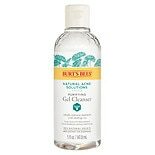 Burt's Bees Natural Acne Solutions Clarifying Toner removes lingering traces of cleanser, dirt, oil and makeup resulting in naturally clear, healthy-looking skin. Designed for acne-prone skin, this clarifying toner also contains Salicylic Acid, derived naturally from Willow Bark Extract, that works as a skin exfoliator to help unclog pores and prevents future breakouts. 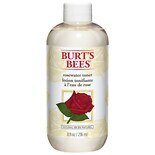 For best results, target acne with the entire line of Burt's Bees Natural Acne Solutions. Give your skin the best nature has to offer with Burt's Bees. After cleansing and/or exfoliating, moisten a cotton pad with toner and apply to face and neck using upward movements, avoiding the eye area. © 2010 Burt's Bees, Inc.
For external use only. Using other topical acne medication at the same time or immediately following use of this product may increase dryness or irritation of the skin. If this occurs, only one medication should be used unless directed by a doctor. In the rare case of an adverse reaction, discontinue use. If symptoms persist seek medical advice. Keep out of reach of children. If swallowed, get medical help or contact a Poison Control Center right away. 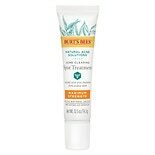 Burt's Bees Natural Acne Solu....5 oz.